The early season returns for Filip Forsberg have been nothing short of astounding. 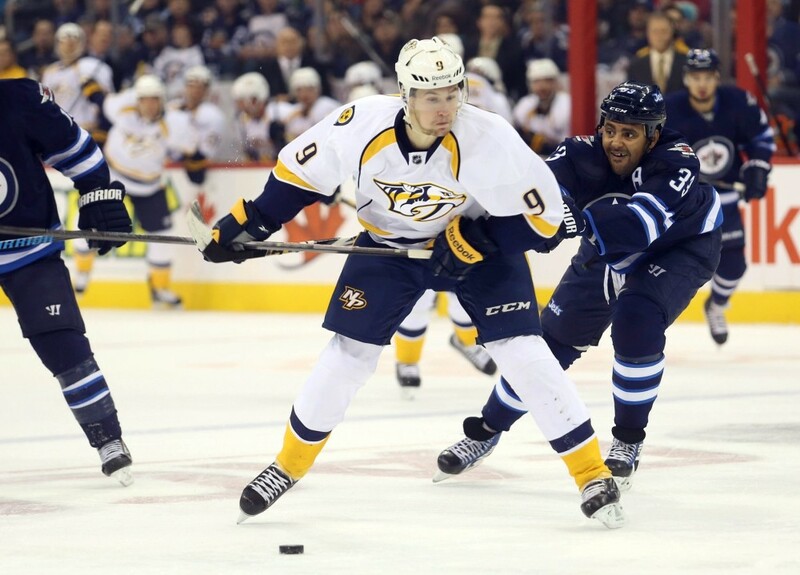 Through 17 games, Forsberg has tallied nine goals, 13 assists and is a leading the league with a +20 plus/minus. The deal that got him here was nothing short of robbery for the Nashville Predators and could turn out to be the shrewdest deal ever made by GM David Poile. The Predators and Poile have had a knack over the years for finding, acquiring and extracting hidden talent from other teams but Poile’s plots have backfired from time to time as well. Here are the best and worst trades in Predators team history starting with the bad. Poile hasn’t made too many mistakes in his time in charge of the Predators but letting Scott Walker go was definitely not his brightest choice. In the summer of 2006, with the Predators looking to make a run as a contender in the Western Conference, Poile was looking to add some offence to the team. He had signed free-agents Jason Arnott and Chris Mason two weeks prior and later added J-P Dumont to an already solid core of players but likely felt the team needed more size and skill up the middle to compete for a Stanley Cup. The 6’5″ Vasicek was touted as an emerging skill forward but was coming off a knee injury that had cost him most of the 2005-06 season. Unfortunately, Vasicek never meshed in Nashville and played just 38 games for the Predators (and managed just 13 points) before being traded back to the Hurricanes mid-way through the 2006-07 season. Meanwhile, Walker put up 51 points for the Hurricanes that season. Walker’s career tailed off following that season but he surely could have been a useful piece for the Predators in the playoffs. Everyone knew the reason this trade was made from the second the Poile pulled the trigger but it still came as a shock to many fans. Matthew Lombardi was dealing with concussion issues and couldn’t managed to get healthy but was still costing the Predators money under the cap. With such a small budget the Predators couldn’t afford to pay players who weren’t on the ice contributing so on July 3, 2011 Lombardi (and his $3.5 million cap hit) were sent to the Maple Leafs with Cody Franson for almost nothing in return. By August the Predators had bought out Lebda’s contract and in February they sent Slaney to Montreal in a trade for Hal Gill. Neither player suited up for single game with the Predators. Lombardi was never the same after the concussions but did manage to play 62 games the following season for the Leafs. Franson remains a top-4 defenseman in Toronto and has 13 points in 17 games this season alone. Imagine for a second a top defense pairing of Shea Weber and Erik Karlsson. This is what Nashville passed up in allowing the Senators to jump up three spots in the first round of the 2008 NHL Entry Draft. Of course, there are some unknowns to consider. The Predators could have hung on to the pick and still not drafted Karlsson. Or they could have used the pick they still had at 18 to take Jordan Eberle. Instead, the Predators selected goaltender Chet Pickard. At the time it seemed like a decent choice. NHL Central Scouting’s Al Jensen said, “The first time I saw Pickard, I saw Olaf Kolzig.” Six years later and not a single NHL game to his name, Pickard is officially in bust territory. 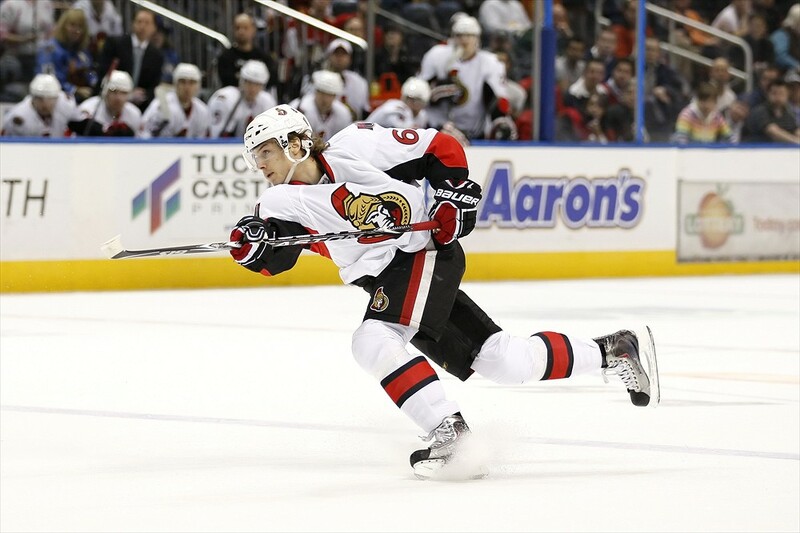 He is currently a member of Danish club Odense Bulldogs while Karlsson remains an annual Norris trophy candidate. The ugliness of this deal had less to do with what Nashville gave up to get Kostitsyn and more with the negative Andrei brought with him from Montreal. In the summer of 2010 the Predators had acquire Andrei’s brother Sergei from Montreal. After a promising rookie season, Sergei had been trending in the wrong direction. It had also been reported that he and brother Andrei had been linked to organized crime in Montreal, according to La Presse, Montreal’s local newspaper. But under Barry Trotz in Nashville, Sergei regained some of the flash he showed as a rookie in Montreal, registering 50 points in his first season in Nashville. But when Andrei was acquired from the Canadiens at the 2012 trade deadline Sergei’s numbers fell dramatically. He finished the season with just seven points in his final 18 games, his points per game dropping to half of his pre-trade numbers. As well as hurting Sergei’s numbers, Andrei also missed curfew with recent returned Alexander Radulov before game two of the team’s second round series against the Phoenix Coyotes. The Predators lost the game and eventually the series 4-1. Both Kostitsyn brothers were let go following the season. There is a reason Peter Forsberg is now a member of the Hockey Hall of Fame. His career totals are ridiculous (708 GP – 249 G – 636 A – 885 P) and his playing style was rugged, relentless and skilled. He had power to drive through defenders and hands to make the best look foolish. And his desire to win was insatiable. Unfortunately, the Forsberg the Predators acquired prior to their playoff run in 2007 was a shell of his former self. Sure, he was nearly a point per game player for Nashville but he wasn’t dominant like he had been previously. Ankle and foot injuries had slowed Forsberg and he wasn’t the player he once was. His time in Nashville lasted just 22 games including the playoffs and after two more partial seasons Forsberg was forced to permanently retire from hockey. On Monday he was inducted in the Hall of Fame. The players and picks Nashville gave up weren’t of huge value, though Upshall has carved a decent career for himself as a bottom-six forward. The problem is they didn’t get the Forsberg they thought they were getting when they made the trade. Now for the good ones. Mike Dunham was one of the original Predators. He was part of a goaltending duo that had helped the franchise remain respectable in its infancy but by late 2002 it was clear that Tomas Vokoun was emerging as the team’s number one netminder. The Predators found value in trading Dunham though, adding Zidlicky who would eventually become the team’s power play quarterback. Following the 2004-05 lockout, Zidlicky became a mainstay on the Predators blue line and notching 53 points, including 14 goals, which was good for second in team scoring. Meanwhile, Dunham lasted just one and a half seasons in Broadway and was out of the NHL by the summer of 2007. Despite being slowed by injuries, Zidlicky remains a top-four defenceman as a member of the New Jersey Devils. After trading back in the first round and missing out on Erik Karlsson the Predators moved up to grab one in the second round of the 2008 NHL Entry Draft. Nashville moved up eight spots in order to grab Roman Josi while their original pick was used to select defenceman Colby Robak by the Florida Panthers. Like the Karlsson deal in the first round, it’s impossible to tell what each prospect is going to turn into but Josi has been a pleasant surprise. He easily jumped into the first pair alongside Shea Weber following the departure of Ryan Suter to Minnesota and scored 40 points last season while averaging over 26 minutes of ice time per game. Robak remains firmly planted on Florida’s AHL affiliate the San Antonia Rampage with just over 40 games of NHL experience in four seasons. Few players have been fan favourites before they’ve played a single game for the Predators but Fisher definitely falls into that category. He played “Predator hockey” before he donned the jersey and scored 20+ goals for the Senators four times before being dealt to Nashville in February 2011. He also had married Nashville resident and country music star Carrie Underwood the previous summer so, despite having played 11 previous seasons in Ottawa, it felt like he was coming home to some degree. Since he’s arrived in Music City he’s been one of the team’s top-five scorers each season and has been an alternate captain in each full season he’s been a part of the team. There was no doubt Cliff Ronning’s best years were spent playing in front of his hometown Canucks’ fans but when the Predators traded for Ronning less than a month into their inaugural season he instantly became the best player the team had. Perhaps that speaks as much to the lack of scoring of the day one Preds as it does to Ronning’s talents but nevertheless he was instantly the most talented player on the roster. He led the team in scoring all four seasons he was in Nashville including a 62-point season at the old age of 35 and provided much needed experience to a team full of youngster. Nashville eventually traded Ronning to the Los Angeles Kings in the 2002 offseason but at the time of his departure he was the team all-time leader in goals (81), assists (145) and points (226). Meanwhile, Lintner played two seasons for Nashville on the team’s bottom pair before heading back to Europe where he’s remained almost exclusively since 2003. 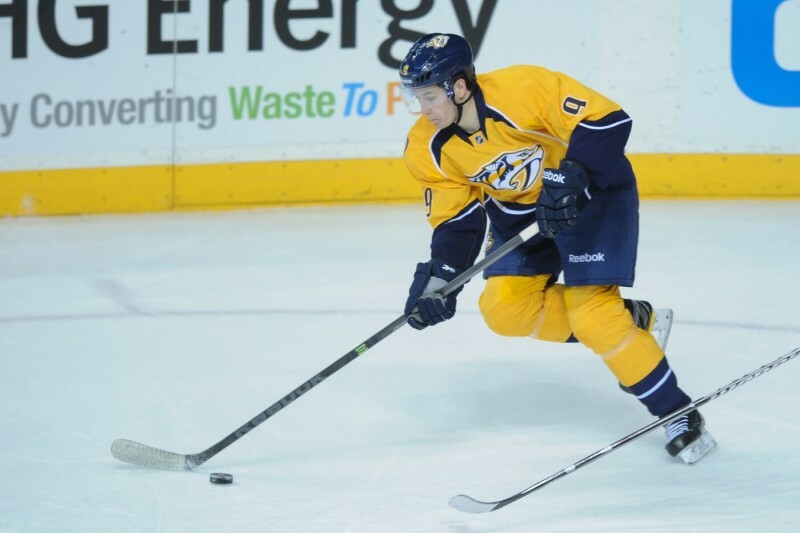 Filip Forsberg’s time with Nashville has been short but all he’s done is impress. He’s secured a spot on the top line alongside James Neal and Mike Ribeiro and has been one of the central cogs in Nashville’s early season success. When Poile made the trade at the 2013 deadline, the entire league knew Washington had gotten the short end of the deal. The Capitals had taken Forsberg with 11th overall selection in the 2012 draft, despite being a projected top-five pick entering the draft. Less than a year later the Capitals had sent him packing for Nashville. This season he leads the Predators in goals (T-9), assists (13), points (22), plus/minus (+20), power play points (6) and game-winning goals (2). On the flip side, Martin Erat’s tenure in Washington was short-lived. By the halfway point last season he was looking for a way out and on March 4, 2014 (less than a year after he arrived) he was dealt to the Phoenix Coyotes. Latta remains with the Capitals as a depth player. And with every point Forsberg scores the trade looks better and better for the Predators.